Maa Kali, she is known as the Goddess of born and death. She is just known to be the consort of Lord Shiva (Mahakal). It is believed that she is the form of Adi Shakti (Maa Parvati). 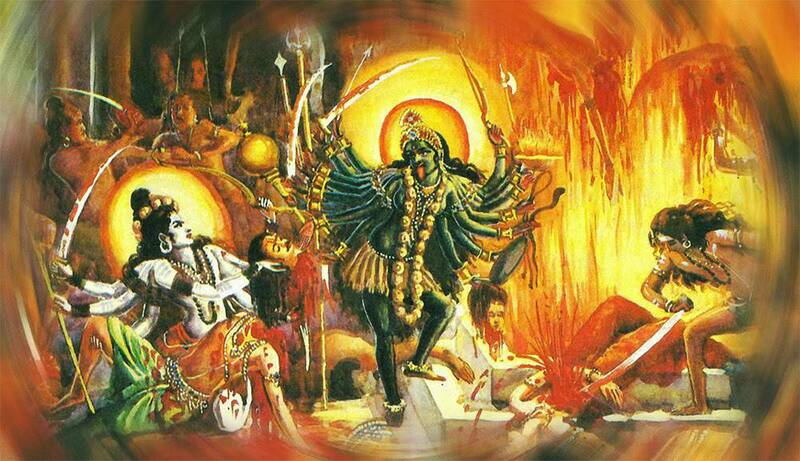 About Maa Kali there are lots of story written by many hindu scriptures. Also Maa Kali is other aspect of Maa Durga . Maa Kali basically and always represented in black color having a strong sword ,a trident, head and a bowl with the red blood of severed heads of evils.Maa Kali aarti In hindi read here. Click here to view or download Maa kali images.